EltGrid-FGG Fiberglass geogrid is a kind of product that uses excellent reinforced non-alkali fiberglass yarn as material. It is adopted warp knitting directive texture as mesh substrate, and warp knitted on the modern imported warp-knitting machine. 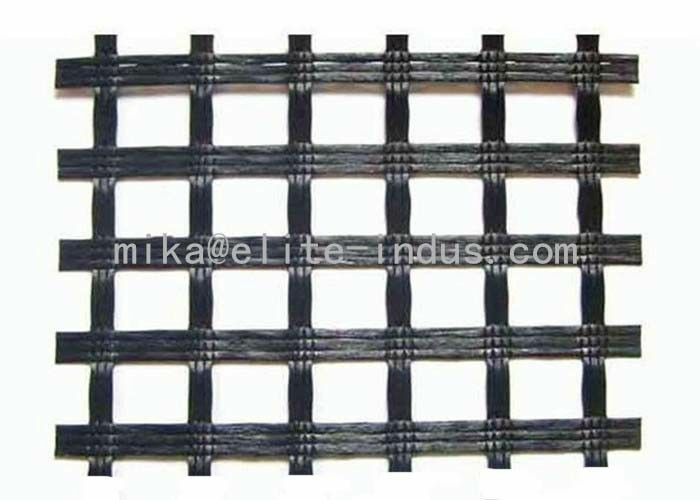 Coating with high quality modified asphalt, the geogrid has high tensile strength, tearing resistance, good creep resistance. This geogrid is mainly used in new road,soft road surface to enlarge the loading capacity and road maintaince to prevent the road crackle. low elongation and good toughness. 2,Corrosion resistance, no long-term creep, long life span. 3,Good physical and chemical stability and good thermal stability. high-temperature track and low temperature shrinkage cracking. 5,Delaying and decreasing crack reflection. 1,Reinforces old asphalt concrete road surface and asphalt layer and prevents damage. 2,It is use for rebuilding cement concrete road surface into composite road surface and restraining restrain reflection caused by caused by block contraction. 3,It is use in road expansion and improvement project and prevents crack caused by old and new combination position and uneven sedimentation.